Every day I hear from people who are struggling to make money online. They bought the programs and listened to the advice but are still coming up short. They are discouraged and are left to wonder if all online marketers simply lie to make money and don’t care at all about their customers. And they are left to wonder why it's not working for them when it seems to work for everyone else. It is to these good people that I address my message today. "never give in, never, never, never, never-in nothing, great or small, large or petty - never give in except to convictions of honour and good sense. Never yield to force; never yield to the apparently overwhelming might of the enemy." Did you notice that last part? "Never give in to the apparently overwhelming might of the enemy." My friend, your enemy (and mine) is confusion. It is overwhelm. It is information overload. It is isolation and not being sure what to do next. But this enemy will NOT win. You will win. I can say that with boldness because I have walked this path. I have overcome (with God's help) and believe with all my strength that you can overcome too. I’m here to tell you that you can succeed online despite your current circumstances or how badly others have treated you! How can I say that when so many people are working hard and still not making any money online? When so many are being ripped off and now have nothing to work with and little hope of making it? Because I see it happening every day. I see people who once thought they are too old, too broke, too sick or too tired and beat up to begin the transformation from hype to hope. I see them move from being confused (and afraid they will “miss it”) to making real progress – not a one-time-fluke but progress they can repeat over and over again. And you can overcome too! I believe there has never been a greater opportunity to make money online than exists today. I should know; I’ve been making a full time living working online for over 17 years ... against all odds. In that time I have seen many scams come and go. I have seen more “business opportunities” than I can count go through their mega-launches, destined (or so the sales letters said) to be the next big thing. I have seen countless people lose money to these lies. BUT I HAVE SEEN PEOPLE OVERCOME TOO, and I want to share with you what those turnaround stories (including my own turnaround story) have taught me. But first let me share with you why I know you can succeed online. Here are only a few of the reasons I believe that NOW can be your best time ever. More people are online than ever before, which means a bigger market for you. And there are more products you can promote – truly good and proven products – than ever before as well. There are more ways to promote than ever before. And not all of them cost an arm and a leg. Today anyone can have a website almost instantly by using a blog. When I started out it was HTML in NotePad. Not a pretty thing. There is more good coaching and mentoring now than ever before. 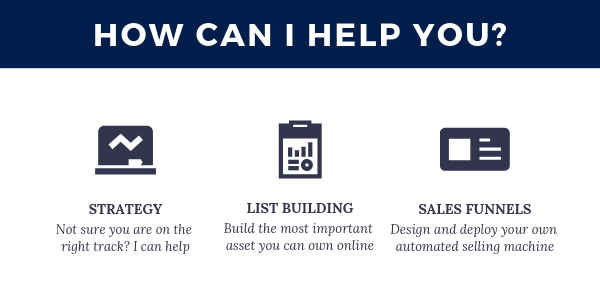 These are just a few of the many reasons I believe you can succeed online. But let me share my #1 reason with you. You can succeed online because humans were created to overcome! It has been our history since the dawn of time. It is how we went from the cave to the moon. It is how we discovered electricity and invented the Internet. I fully believe that NOW is your time. I fully believe that THIS is your year to rise and shine! Is it hard to work online? Sure, it takes work and learning new skills, some time and a little money. But that will not stop you! You bet! Too many websites promise the moon only to deliver disappointment and heartache. Far too many take your money and never even answer your email or provide any real help or support. But we won’t let that stop us! I want you to join me today in setting a new course. Today is the day we forgive. Today is the day we forget the wrongs of the past and write a new story. Today is the day we make a list of what is right with us and capitalize on our strengths and not our weaknesses. 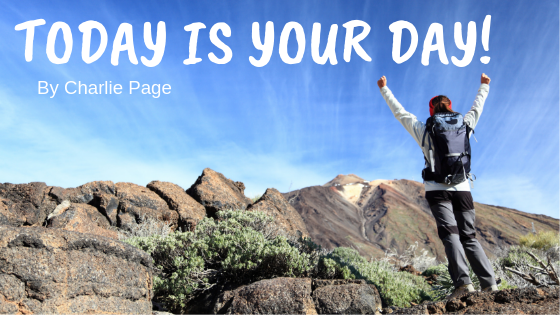 I know that it can be hard to hold your head up high and declare today as your day of victory. I know the challenges you face because I have been there too. I have walked in your shoes and am here to tell you that there is victory for those who never surrender! You might be tempted to think you are too old or too sick or too broke or too tired to succeed online. I thought those things too. I was so sick there were entire days I could not get out of bed. But I kept trying. I was so broke that people from my church brought presents to my house so my kids could have Christmas. I was so discouraged that I honestly felt it was over for me – that I had my chance and it didn’t work out. I remember one night literally saying to myself “at least you had it good for a while” and thinking it was time to accept the “reality” of forever being broke and sick and depressed. MY FRIEND – THAT WAS A LIE! I kept on fighting and today I am healthy and we are doing very well indeed. Based on my own experience, and based on literally thousands of members I have counseled I want to tell you five truths that you might not feel are true right now. I want you to meet Claudette. At 83 she truly is a shining swan of a person. Whenever I speak with her I am lifted by her love of life and her undeniable spirit. Sure, working online is a challenge for someone of her age but you can bet your last nickel that fact won’t defeat her! She knows that she will never master the computer the way a 23 year old would so she does what she can. Instead of trying to build a website from scratch and learning HTML she focuses on blogs, knowing that if you can type you can have a blog. And she can type after all! So she does what she can. Ivan was 85 last time we spoke and going as strong as ever. You see, Ivan works in the health and wellness field and is a living testimonial for his anti-aging products. What do Ivan and Claudette tell me? You are not too old to succeed online! How I wish you could meet Mindy. She has cancer and so is focusing on marketing passive income products so that her family has something to count on when she is gone. In my own life there were times when a good day meant I could work 2 hours before basically collapsing and needing to sleep 20 hours. Was it hard? You bet. But I worked those 2 hours and never gave up. It was that burning desire, and God’s blessing, that took me from being a member of the Directory of Ezines to owning the company less than 18 months later. Believe me, you are not too sick to succeed online. Do what you can when you can and rest when you must. When I bought my DOE membership it was hard to come up with the fee. To say it was a sacrifice would be grossly understating the truth. My wonderful wife thought I had lost my mind. How was this membership going to help us? I had so few resources that all I could afford was article marketing since there was no fee to send articles to ezines. And send them I did. On days I was well enough to work I would write articles. And write articles. And write articles. Then I would send them, hoping and praying they would be read. They were read and soon readers became visitors and visitors became customers. It was hard but it worked. Little did I know that less than 18 months later my wife and I would buy the company, enabling the founder to retire and achieve her dream. That was BEFORE social media! How I wish I had Twitter and Facebook in 1999! And there are even more no-cost ways to promote. Believe me when I tell you – you are not too broke to succeed online. Tired of the ever-changing technology. Tired of trying things that don’t work. But you are not too tired! For you the time may have come to stop working so hard on things that don’t work and focus on things that are proven to work. Not everything I try works the first time either. But when results do come they build me up – giving me the strength and encouragement to keep going. And when I find something that works I keep doing it rather than moving on to something else. If you are tired today take time to rest. Pushing on and spending countless hours at your keyboard (especially if they are late night hours) will not be productive. When you are rested and ready make a list of the top three things you want to accomplish today and start on item #1, not stopping or even thinking of anything else until it is finished. Let focus and passion become your allies and you will banish tiredness from your vocabulary. Rest when you must and work with passion and focus. I know this much to be true – the opportunity online is just starting. You have not missed it. Only a small percentage of all sales happen online. The growth is yet to come. Things were never easier than now. There have never been better tools at your disposal than now. There has never been a bigger market than now. You have not missed it. As the song says, “these are the good old days” whether we want them to be or not. Today is the day we will look back on and reminisce. The only real question now is whether we will remember today fondly or feel that we wasted yet another opportunity. You have a great story to write. You have a great future to build. Never let go of your goal. Never quit. Breathe and have your life but never ever let go. Let me leave you with these words by Henry David Thoreau. “I have learned, that if one advances confidently in the direction of his dreams, and endeavors to live the life he has imagined, he will meet with a success unexpected in common hours." Success is not made up of the grand gesture – the bold move or big product launch or the perfect ad that hits the target. Those things are fun when they happen but they are not the stuff of life or the building blocks of success. Success is made up of doing the little things every day. Success comes from doing what you can today, knowing that doors will open as you need them. Success comes from being willing to learn what you need to learn and being willing to do what you need to do. Success comes from following a proven path, knowing in your heart that if good things can happen for the other people of the world there is no reason they can not or will not happen for you too. Go out today – right now – and move confidently in the direction of your dream. Then get up tomorrow and do it again. Soon you will find that you are succeeding on YOUR terms. Wow Charlie, it’s only 11th today and you have 52 comments already plus mine. Very good advise as usual, I’m still trying to do as you say. I’ll find witch of my subjects has the most hits. Then I off & away into it, like a fish in water. Look forward to hearing back from you on that. Thanks for all you do to help others to success online. investments,and passive income. For that reason i’m out. I understand and wish you well on your way. Thanks for the inspiration and encouragement Charlie. I’ve bought many programs, including several of yours, but have had problems with procrastination in getting started. I’m struggling daily to overcome this. I’ve recently lost wight and started eating better and taking supplements to try to get more energy to work and be successful. I bought your Common Sense Blog Blueprint in June and still haven’t got it completely set up. I needed this message! Thank you for writing in. Procrastination is a common problem with people offline and online too. While there are 1000 methods to overcome it, we all have to find our own individual answer. I almost gave up, you motivated me to straighten my shoulders again. Thanks, Paul! I appreciate you sharing. I’m quite inspired, Charlie, by the great post! Thank you. I am very encouraged by this message. I am living in Mexico because I cannot afford to live in the United States. I am 77 and my wife is 83 and we have absolutely been there done that. We have tried for years to make money on line and have spent thousands of dollars on every imaginable internet marketing program. I have become very cynical because everyone was either a pack of lies or was an entry point with upsales to hit the big time. Things are getting too expensive for us to continue living even in Mexico. We are at our rope’s end. But with your encouragement I have decided to try again. Please wish me luck and I will seek your guidance in the future. I do wish you the very best in your efforts. I can understand the cynicism and have felt it too. But there are good people out there and they offer good products that do work when we work them. Stick with the basics and you should do well. Thanks again Charlie,for your practical encouragement. Always a blessing to hear from you, Jean! Very powerful and inspirational Charlie, thanks. I can see a lot of myself in those words. Bright Shiny Object syndrone is always an issue. I’m pushing on, it’s the only direction I can go. Forward is the right direction! Thank you, Charlie. That’s exactly what I needed to hear. You described me to a “t”. Can’t wait to work with you. Wow. Thank you for the encouragement. I have been trying to make a passive income for 30 years. MLM, Forex Trading, Stock Exchange Shares, Manufacture of Products from China, Drop-Shipping, Affiliate Marketing Physical Products, Affiliate Marketing Make Money Online Products, Offline Businesses and am still working for a boss. Thanks, Dave! If you find something you truly believe in and give it your all I know you will break through. Thanks for the inspiration Charlie! It was what a lot of us needed to hear. Thank You Charlie for putting so clearly I really appreciate your columns I was wondering how those interesting people you described are doing now thats great and I will try to remember this article when the times get bad and when they get good stay in touch and I will be talking with you soon. This email has come at a time when I needed the encouragement. I have been trying to make money online for the past 4 years, yet no success. Been a victim of the so called internet ‘gurus’ and bought a couple of ‘bling’ products too. Every time when I think about throwing in the towel, there is a glimmer of hope inside me and that’s the reason I’ve not given up because I believe my dream to be financially free is possible. My message to you is don’t give up either. I have read many posts by you and all of them good. Being a subscriber of yours there are other things I wish you were doing with us too, but that being said, this post is by far the most inspiring posts I have read in a long time. So well written, so heartfelt, so positive, so caring of people’s situations without being derogatory in their plight. I will re-read this post many times in the next coming months because it is rare that someone can write and infuse the kind of inspiration you have done here. Thank you, Charlie. I am very grateful for this article Charlie, it is inspiring me again to continue online and to be successful. Thank you for your wonderful caring to write about the truth and share your honesty with us who are trying to really find out if we can really make it online. With this article, you are the most honest person I have been reading on online and are very honest with us who are having a hard time trying to figure out how we can make it. Thank you, thank you very much. God bless you and your family. Thank form evermore, you have just encouraged me to keep on moving despite my age. I am 50 and had hoped that at this age I would not be living from hand to mouth..month to month ie perpetually short of money to do the things I love doing. Your article has changed everything. It’s never too late, is it Charlie? I just read your article today, 7-28-10, which kinda confirms your argument that article marketing does still work. I remember the lady who you bought DOE from, and article marketing is much easier now than it was in those days. Your passion for the common folks, and your candor, makes an old solider like me feel better about the human race. This is an excellent article. I really like to look at where I’ve come from. I started with no online skills or formal training and in just a couple of years am making an excellent part time income from the Internet. It’s easy to get discouraged if I just focus on what is happening in an “OFF” day. When I look at the progress as a whole and stick to my ten year goal, I am a much happier Internet marketer. One thing I have been careful to NOT DO, buy a lot of marketing fluff. We must take the time to research the credibility of the people selling the product. spirits within to forge ahead with renewed vigor and vim. You have inspired me to want to be like you. I just wanted to let you know I really appreciate your input and the work that you are doing. And for anyone reading this comment to know that Charlie is a guy that you can trust – he really does walk the talk. I started my online experience over two years ago and by my reckoning have invested over $350,000 in my Internet education – that may sound like a lot but when one considers I left a six figure salary two years ago in pursuit of “the Internet lifestyle” and have invested in more courses, ebooks and tools than I’d care to admit to – and still today I am nowhere near where I want to be in terms of income – however – I refuse to give up – I know I will succeed and indeed today is the day! Wow. What timing and what a wonderful, fantastic gift. Thank you so much for your words Charlie. I’m glad I found your website. I’m an oldie, off and on… and I recognized your name instantly from years ago…I am so glad I read this…Thank you again. Brilliant article here, Charlie. Thank you for sharing these motivational stories with us. I read your article and the comments submitted . I was pleased to see that I am not the only one finding the road to online success rocky to say the least. Your article came at an opportune time as I was feeling rather discouraged , although my family and close friends have never discouraged me in my endeavor. I was really wondering if making a good living working on the internet was truly a doable possibility or just hype from people selling hype. I admit that patience has never been my strong suit and I although I did not expect overnight success, I really did not anticipate such a steep learning curve. Well, I have been “learning” for almost a year, I have been discouraged may times wondering if I was the only one trying to do this and finding the journey long and frustrating. Now I feel that this is not unusual and the lessons that I have learned are very valuable. Thank you for your encouraging article. Thank you, Charlie, I never miss an opportunity to read one of your articles! Thank for your words of wisdom – all so true! Love the new look of the site too. Wow Charlie. Your words are truly motivational and needed by so many of us would-be marketers. In addition to your words, the comments of others, help too, and help me realize I am not the only one that has had struggles earning some income on line. Thank you for the article. That is an awesome article, very true and very motivating. Thank you for writing it and sharing it with us. Online marketing can be frustrating, when we keep trying and it’s not “working”. Great reminders. As I always say, your words come in the right moment. I was always a fighter and I’ll never give up no matter how hard it seems. I think everybody is blessed to know you, Charlie Page. Thank you for your powerful words. I loved this article! Just what I needed to help me get back to being focused. It is so easy to let those seeds of doubt slip in. That doubt no matter how slight, can erode your belief and sink your ship before it even sets sail. Fear of failure is another killer that an article like yours can nip in the bud. Thanks for giving us all a little amunition to start our day. Today I had just about had enough! Then I read your blog !!! Now , intead of feeling sorry for myself , I realise I’m not too old …. I’m not sick…. I can overcome tiredness and most of all I have HOPE. Just read your article and wow !! it made me feel YES I can do this. I’ve made my list of 5 things to do today and I’m about to draw the line and make a fresh start from now!! Terrific post again, thank you for taking the time to share this. A truly inspiring article Charlie. Charlie, witjh the good comes the bad. I challenge you to also print what the reality is that some of your members are experiencing. I became a DOE member some number oif months ago. Mainly I was attracted to your offer for personal help via ad writing and website reviews and live phone calls. I can honestly say I am disappointed in you as nothing you have promised has been delivered. Numerous requests for ad writing and website reviews, and numerous attempts to get you on phone during the call-in days, and no returns of phone calls (as you promised you would), has soured me as a customer of yours. You can be certain that the LTV of this customer will be very low. Sure you’re busy, so is everyone else. The crux of the matter is You should NEVER promise what you cannot deliver. If this post does not see the light of day it is further proof that you are promoting false and misleading advertising. I still wish you the best Charlie, and I will never give up. I’m not afraid at all to post you comment or reply to it. I would never do that because or your “dare” but rather because I have nothing to hide. All feedback is useful if one knows what to do with it. Here are the facts, as I have written to you privately as well. In fact, here is the very email I just sent you but without the attachments. The ads below were emailed to you on September 17. You requested them on August 27. I’m attaching a screenshot showing that we did try to deliver them. Why they did not arrive I do not know. As to your site review, that is completely my fault. I missed it in part because my father in law had a stroke and I was busy attending to family matters. But the bottom line is this, I missed it and I apologize. I will get it done today and sent over to you. I want to be clear about one thing – I do NOT promise what I cannot deliver. But I am human and sometimes make mistakes. The only two support tickets I find for you are addressed in this ticket. I searched my email too and found exactly one message from you. I replied to that message and offered the input you asked me for about your site. I can easily provide a copy of that email to you as well. I find no voice mail messages from you. I appreciate you being a member and am sorry you are disappointed. I hope that changes. This is a good timing. Today I was speaking with a freind who is discouraged, and thinks he can not go anywhere, he wants to give up, it is not for him. This article will give him hope and get inspired to continue. I am sure many of have had low times while going about online business. You are an inspiration to many of us. Thanks for all your time and effort! Great to have you and you deserve the blessings of God! Hi Charlie, I am a new member of the Directory of ezines. This is my first post, on any blog. I cried when I read this article. In my heart, I know God sent me to you and your members. Some of us have been trying for a long time, to earn money on line. An angel has perched on my shoulder now, and I see the light. Dear Charlie Page; I wrote an Article very much like this Article that you wrote, speaking of many things like you have just done. I do believe that your Article would fit in just nicely along side of mine to have the same and exact results of what you and I have intended for these Articles to do. Let’s face it Charlie! ; Great Minds Do Think Alike: Our Intentions, Our Goals, Our Compassions etc are very much alike. It is the Gift of Giving of ones’ Heart that really counts. No amount of money can ever buy that or even steal it from us, because it is a “Free” Gift we Give and Offer to others willinly with compassion behind it. I do not know if you have gone to any of my web sites yet, but if do, you will see and understand more of what I am talking about and you will find our thoughts are in many ways are very much alike. The only big differances mostly between you and I are: You are a writer, I am not; You have the money, I do not, You have greater knowledge,I have some; You have greater opportunities, I have potential etc. What is Our Reward? Our Reward is something that no amount of money, jewels or other can buy this Gift we offer and recieve as a reward, because the Reward is the Greatest thing we will ever get and enjoy and that is the Knowing that we have Accomplished something within our selves of fulfillment of our inner needs and the fact that we will be leaving something of Great Value behind us for our Future Generations to come. There is no Greater Gift than Leaving a Legacy like that for everyone else to love, cherish and to enjoy and to remember us by, because we can live for ever, long after we do die in this physical life. See I told you, I am not a writer, but I can Brain Storm with Trueth, Feelings and Heart. Think Great, Be Great and Do Great to your road of “Success”; for what ever Adventure and Endevour you may go on. Have a Great Day! way you write and hope to learn more from you. Sorry to hear about your computer troubles. It can be frustrating. I found a couple of sources where you might get some good help free. 1. Best Buy’s Geek Squad answers questions by Twitter and it’s free. 2. Intel offers free PC help too at this site. To be clear, I have not used these resources myself (i’m a Mac guy) but these are dependable companies who should be able to help you. I read every word of the article. It really says a basic truth there. Spreading the word of not giving up is important. There can be many barriers but you are right , being willing to learn and doing what you need to do is the road to success. I can see that. Telling your story in the article really made an impression on me. You are such a good example of not giving up on your dream. Thank you for your inspiration. Charlie, thanks for the encouragement. It is hard when things do not go as planned. When we are down and discouraged it is good to have people like you remind us that we can do it and need to keep our head in the game. Ahh! I feel like shedding tears. This is very timely and I equally believe it’s God sent as well to me. You don’t write like a marketer; you write like psychologist. Your last post was great and this is far greater. I wish I could get this out to as many people struggling to break through online in Internet marketing like me. Thank you very much for this post. I will always watch out for more. P.S. I sensed you’re a true Christian. Love this Article! Thanks for the shot of motivation & inspiration to succeeding online; I do believe it’s completely possible & enjoyed reading this. I was planning to call you this week after a “Holiday Break;” our 1:1 calls are definitely one of my very favorite benefits of being a Lifetime Member of the DOE (Directory of Ezines). I needed to hear this! Thanks again for your encouragement to countless others like myself. I have been discouraged lately, thinking to myself…”I’m sure there are people making it online but I’m not one of them” and just as I was deciding whether to continue I get a sign up. Just one but a start! Then I read this article and it encouraged me, to keep doing the little things everyday. Let us encourage one another so long as it is called today. We probably never will meet but I’m thankful for you because there are honest individuals and ways to make money online. I’m glad I’m a member of the DOE too. God bless you and yours Charlie! Once again a beautiful and inspiring post. Today I will forgive and let go to the hurts of my past online marketing experiences and begin anew. Thanks for the encouragement. Right on Charlie. Truely an inspirational post. From my own personal experience I think many if not all people have to hit a bottom of sorts to motivate them to success. Fight or flight, humans like you say are designed to fighters or overcomers. As you can see I did not list my URL because we are not yet ready to launch but that should be within the next few days. I read all of your articles and find all of them factual and helpful. Today however, was even more encouraging than ever. Several months ago I was one of those people who had spent far to much money on the latest and greatest million dollar making products. I found after being away from the Internet for over 5 years I was totally lost and thought the only way I was going to get anywhere was to buy my way into the dream. One day I met a man, who has become my business partner, and we decided to start applying some old fashion business tactics and ideas to what we wanted to do online. We decided we were, as you are, tired of seeing people ripped off by the hype boys. With that in mind we set out to launch a training web site to help others stay away from those traps. By next week that should become a reality and from the feedback we have been getting it will be a great help to a lot of people. I attribute this first to God, then to reading and learning from people like you to fill in the blanks from the gap when I was away. Thank you for your help and encouragement and BTW, you can look to start hearing from me on those weekly calls and to take you up on your ad writing offer. I had held off on those things until we had the web site ready to go. … Thank you Charlie!!! you’re timing couldn’t be more amazing! Thank you, thank you, thank you!